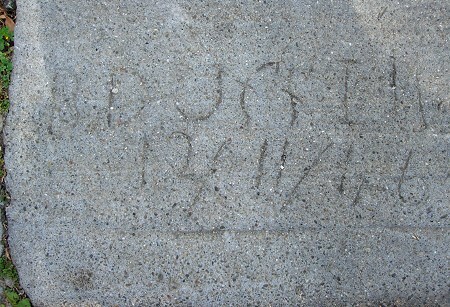 Ensor H. Buel left his horseshoe mark and his signature in all parts of Oakland in the 1930s and 1940s. 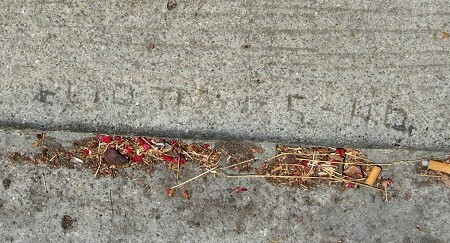 It’s only fitting that this was the last sidewalk stamp I found on the last day of my systematic survey. 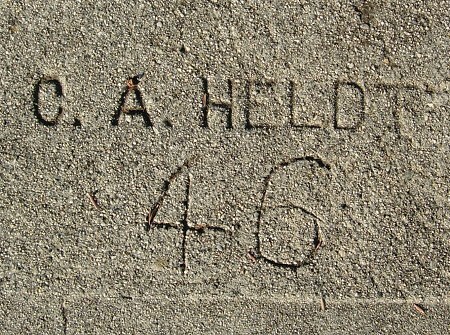 Unlike other C. A. Heldt marks from 1946, this one has only a hand-drawn date. 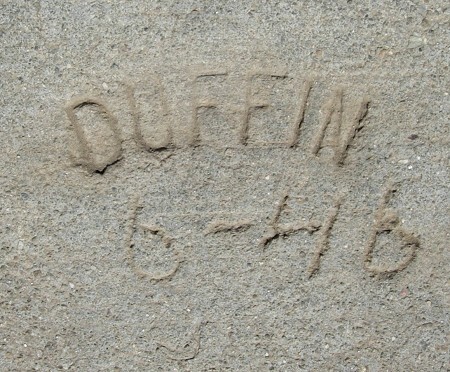 Duffin marks are more common than L. B. Duffin marks, but fewer of them are dated. A new name for me. 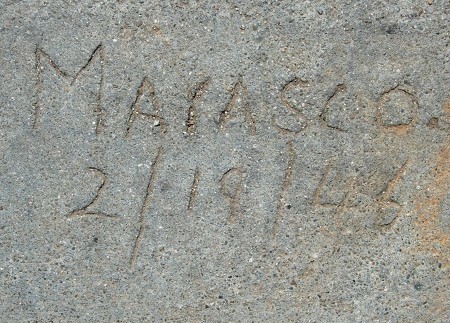 Another diffident concrete worker, reluctant to sign his name legibly. 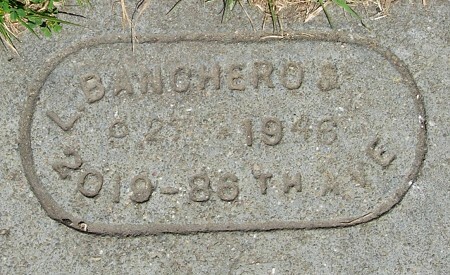 Funny that for so many years, Banchero kept the “&” on his stamp after removing the “Co.” early on. 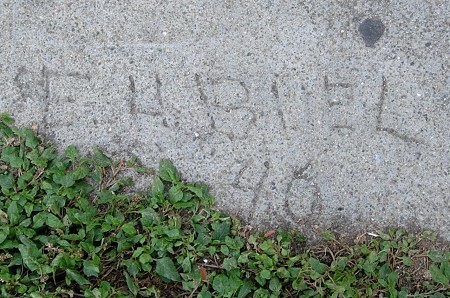 I didn’t recognize this one until I got home.